Heading to Busch Gardens in VA this week. I plan on taking the I-95 south to I-295 to I-64. Anything of interest in terms of shields, button copy etc. Anything in Williamburg or Newport News area? I've never been before. The one error shield I knew of in Williamsburg is gone but that doesn't mean more haven't popped up...Virginia is terrific at keeping error signs coming and going. Norfolk has all the uniquely fugly shields. Both Newport News and Williamsburg mainly use dark green background unisigns with the shields in the cutout style on them. I think they're fairly sharp. But AFAIK there are no cutouts remaining in the Williamsburg area. A handful of cutouts remain in Richmond. thanks! I thought I remember seeing pics of old spec interstate shields around the state. Still up as of yesterday. For awhile it was a VA secondary shield before being replaced with the current edition. I-64 is currently being widened between MM 245 and MM 253 (making a bad traffic situation even worse). US-17 is also being widened between VA-134 and Wolf Trap Rd in York County, and is being upgraded to a freeway in Chesapeake. The new westbound tube for the Midtown Tunnel between Norfolk and Portsmouth is also scheduled to open Friday, if you want to go check that out. 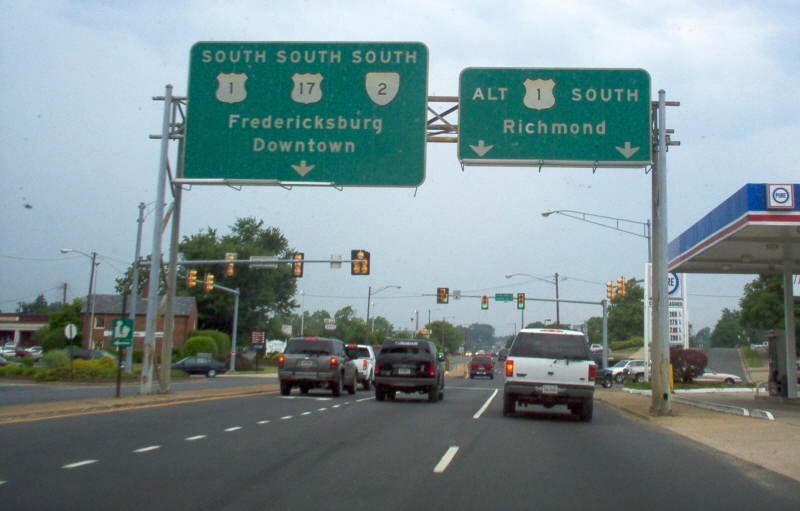 US-17 is also being widened between VA-134 and Wolf Trap Rd in York County, and is being upgraded to a freeway with a toll bridge in Chesapeake.